eXo Platform is an open-source digital workplace solution. eXo Platform helps you connect your employees, customers, and partners in real time through a digital collaboration platform. With eXo, you can organize, store, share and collaborate on your documents. eXo is a full-featured, standards-based, extensible tool, with an amazing design. eXo Platform Reviews Recently Reviewed! Comments: eXo Platform is a relatively new app, that can be helpful for corporation and communication on all different levels. I think, it is best suited for medium to large sized companies, as it has so many functions, most of which is not beneficial for small teams. Pros: Without a doubt, eXo Platform provides everything you may need to put into action your innovative digital work base or customer experience solution. This app design in a way that it helps you to get real work done, without the platform being the part of the work. Because it is cloud-based, you can easily share any kind of data with your co-workers, which makes collaboration so much easier. If you are looking for a multifunctional social collaboration platform for the enterprise, I suggest you try eXo Platform, as it has an entirely new and sophisticated approach towards collaboration and communication between coworkers. Cons: This platform is constantly developing, so every week you are faced with different types of updates, which can be annoying. Plus, the app is packed with different functions, some of with you may never use. As a result the interface looks cluttered and not particularly user-friendly. Also, the integration with other applications can be complicated and requires a lot of user experience as well, as blunt luck. Comments: This great piece of software build on top of GateIn portal will give you all GateIn features (Content Management, Single Sign-On, LDAP support, etc) and much more. 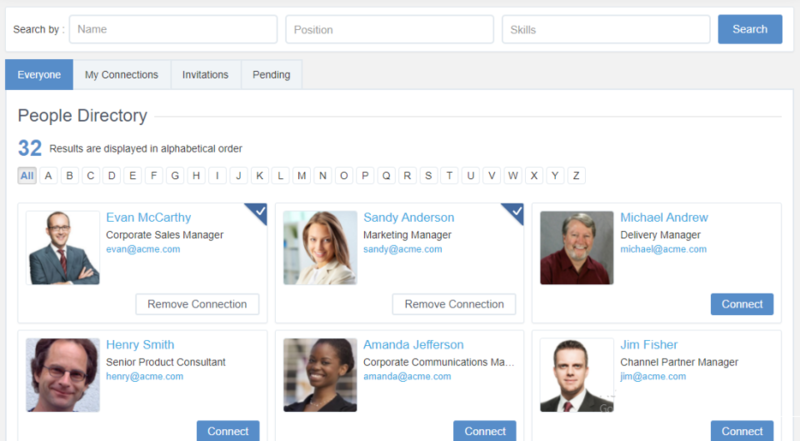 Using eXo Platform we created a secure portal-based site and an intranet that encourages employees in an organization to exchange knowledge, documents, work collaboratively, task management, contact data... All done socially and mobile. Activity Stream displays text messages or multimedia content posted by employees , customers, suppliers. It is where you'll find all your company's activity. Take advantage of version history, rollbacks, votes, comments and more. It lets you store files in a private and secure environment, in other business systems like SharePoint, or in other cloud storage solutions, such as Google Drive or CMIS repositories. 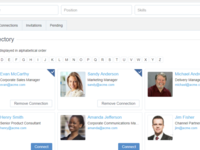 It's possible to manage and organize all the contacts in your organization in a single directory, together with information on their professional profile. eXo includes an ElasticSearch based search tool segmented according to the sections and contents in your intranet, indexing other contents published by other systems, making it a federated search tool for your organization's entire knowledge base. Apart from its native features, you can also integrate eXo with other business applications, productivity tools like BonitaBPM, JasperReports Server, etc. Native iOS and Android app. We not found any except the lack of a feature found on other enterprise social networks like Yammer (gammification). Anyway, It's open sourced so you can extend it easly! Amazing to read so much details in your review, thank you very much! About gamification, it's a topic we are currently working on so we would love to get your feedback and ideas on eXo community website. Feel free to use the request feature section or open a topic in the discussions forums. Pros: eXo is an Enterprise Social Network that will improve productivity across the board in all members of the company. It's very feature rich so if you want your organization's knowledge, private, secure and organized then you have to try it! Cons: We not found any except the lack of a feature found on other enterprise social networks like Yammer (gammification). Comments: I have been worked on a personal project where I intend to create a niche of social network. I looked for frameworks available on the market that could provide a complete infrastructure to run out my business and I found it at eXo. EXO plataform provides all basic features for developing a niche of social network, such as authentication, active streams and others features you can imagine for a social network. Particulary, one of the reasons I have decided by using of eXo is because it is written in Java, basically ( JSP - you can extend to JSF, Juzu ...) and works over portlets, i.e., you can built modules and apply them over your portal. If you are looking for a framework for build a social network I strongly recomends you at least do a trial with eXo before going deep into your project. Pros: This platform's got everything our team needs to build a collaboration and social network niche which can be implemented throughout the enterprise including active streams, authentication, and other features. And this is done without doing a single line of code. The interface portal is very convenient for promoting these functions to all teams and employees an is highly customizable. Cons: It would great if they started rolling out more tutorials and training programs that could have helped us to understand how easy it was to perform certain functions. The program is easy to use, but customers do appreciate a little hand-holding especially at the start. Marvelous software for all sorts of Collaboration. Pros: Exo Platform is an outstanding software that provides an excellent platform for collaborating for our projects. It consists of powerful and effective tool that helps a lot in our business. It comprises of perfect features and functionality is fantastic. This software gives best solutions for communication problems and provides good opportunity for easier and effective cooperation among the co-workers. Cons: In the beginning, when we start working on Exo Platform, it service is quite slow. Another issue is that when one wants to extract data from data base, it is not that much flexible. 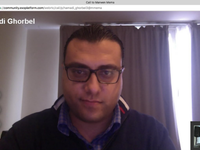 In order to start video conference, it takes long time to understand the issues. Pros: Open Source software and a good knowledge management system are mandatory nowadays. 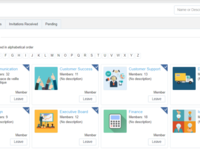 eXo is a social collaboration platform packed with a lot of features for organizations wanting to add a social dimension to their existing information system or build a social intranet. Cons: eXo Platform creates real business value as it enables faster communication and better decision making across our whole organisation but it's difficult to engage employees without help. Recommendations to other buyers: My recommendation to others is to read all documentation and don't be intimidated by the strength of this program. Pros: Good tool to focus everything in one place. It has a good interface making it easy for users to use. Cons: The open tool is limited. There is enough commercial exploitation. For easy implementation only by acquiring a plan. eXo Platform is the best intranet solution: besides all basic features to collaborate and connect. 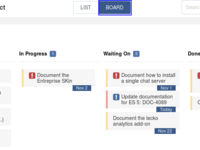 Pros: eXo Platform is the best intranet solution: besides all basic features to collaborate and connect with your colleagues, you can organize and customize your own dashboard, choose existing gadget and add external one: essential when you need an overwall view of your work and colleagues activity! 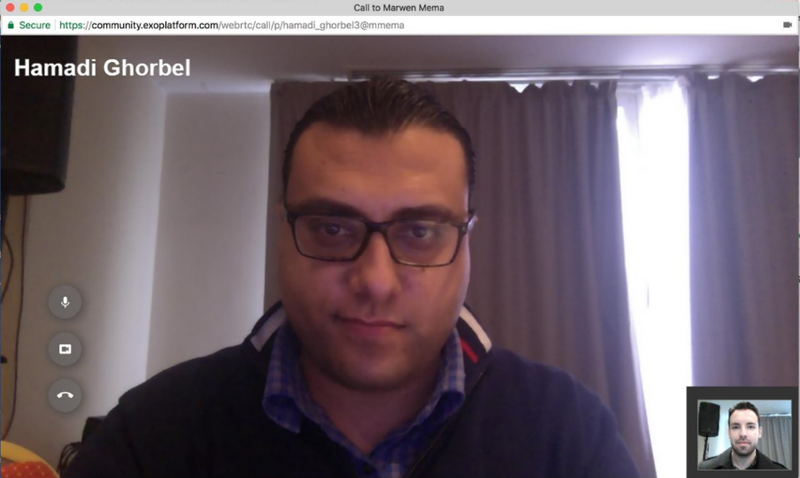 Comments: eXo platform provides features that match requirement of social collaboration,intranet and cloud base application.I am working on eXo platform (1+ year) it is easy for portal customization functionality. It is easy for admin to define users with roles,permission and group management. Pros: eXo platform provides features like calender for defining tasks,events and meetings with reminder functionality, chat application with video confrencing, Blog engine for writing blogs and sharing information, WebDAV support for sharing of documents. Cons: In Older version of eXo platform some time it distorts UI and UX but after releasing new eXo platform 4.1 version they are fixed and lots of new functionality added. Glad we could fix your issues with the new version. Thanks! Comments: I have been exploring features of eXo Platform while trying to develop an Agriculture Based Business Portal. In my experience, eXo does simplify the development, customization and maintenance of Business Portals. Pros: The software allows me to replace many solutions with a single integrated nice platform. I like the openness of the vendor is one of the biggest positive point for the choice I've made. Cons: So far the product has been perfect for my needs, and we're able to replace not only the social network platform, but file archival and search mechanisms. Recommendations to other buyers: Plan big, as the software is not only a social network platform, you'll be able to replace document managers software with it. Pros: Fairly quick roll out, takes only a few days to work out the interface and be able to do what one would want to do. Reliable and fairly quick support on tribe. Cons: it is just a tool, you make of it what you want. could backfire if the team using it is not serious. I've seen similar software turn into memes-gifs platform at work for employees. Comments: In my point of view, eXo is a great solution for both social and portal service demand based on its various features. I must say that it just likes a combination of everything from intranet, social network to blog, wiki,... everything in one. Therefore, with eXo, maybe I dont have to think of any other website since it has covered all what I want and all what I need. However, yes, everything has two sides, perhaps due to such a rich diversity, its processing speed gets troubles and makes people feel uncomfortable when using. I thought that, eXo now should focus more on refactoring its platform so that it can serve customers better. Having many functions is not yet good, but a quick response at least never causes people get mad. A great application to build a social network in your workplace. Pros: Using this software, the user could easily track all the motion in the company. The Android and iPhone versions are very reliable. There are many features in this application including microblogging. There is also a provision to invite others into this space by providing only limited access. Even the support team is very interactive. They try to answer all the queries of the users. Cons: The server takes too long to respond. Since there are a lot of features included in this application, it may be difficult for the beginners to deal. There is no tutorial to guide the users through the application. Due to this, many features remain undiscovered by the users. Pros: eXo Platform solve the information silly issue and make information easily accessible so an organisation can better control communications and information deliveries. Comments: eXo allows you to create your own social intranet with the essential collaboration features: chat, forum, activity stream, share documents, wiki, calendar...the perfect software if you're looking for a user-friendly all-in-1 solution for your company. 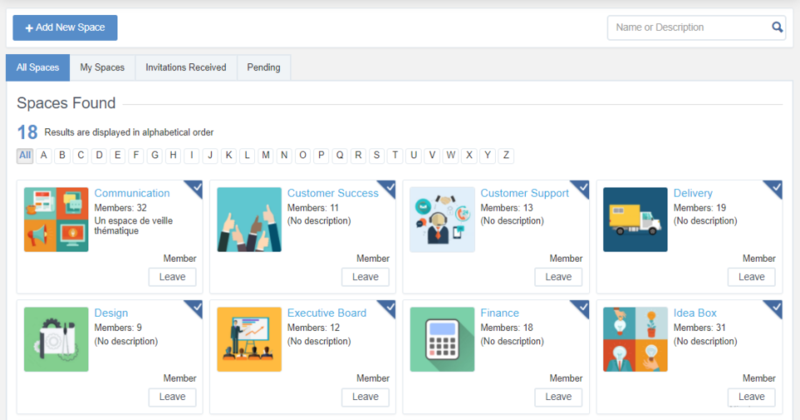 Pros: eXo allows you to create your own social intranet with the essential collaboration features: chat, forum, activity stream, share documents, wiki, calendar...the perfect software if you're looking for a user-friendly all-in-1 solution for your company. Cons: i don't see anything to dislike about it. Pros: Comprehensive functionality for the enterprise social tool. Cons: eXo is a company with creativity and very friendly. Recommendations to other buyers: It is very important to build an evaluation team with active members. Great way to interconnect. Very well put together. Pros: Love the UI. Big number of add-ons and features. Very reliable. It was very easy to use once I got the hang of it. A little intimidating at first but doesn't take long to get used to. Pros: Exo Platform helps us to properly collaborate project or task.With this, the team can have different views to contribute in making project successful. Cons: None at this time, Exo Platform has many functionalities to use.. its really helpful to us! Comments: We started using eXo as a substitute for facebook's and Google's Social media platforms. What we ended up with is a much more feature rich way of doing business, interact and get things done. eXo proved to be the way of making people using social media tools to work better. Now we have the best of both worlds! Pros: Easy to use interface with natural learning. All in one platform, including file sharing. Cons: No cons, the installation requires a bit of understanding of linux (our preferred system), but otherwise just plain easy. Comments: I tried eXo and it amazed me for all the features and things you can do to better organize you company. In spite of that, I found it very hard to start using it. The amount of things on the page that demand the attention made me open a few tabs just to catch up with everything. Also, I found it hard to understand and how to actually get started. Pros: Incredible number of add-ons and features. Very good reliability. Cons: Not fully translated, making some pages bilingual. Hard to get started as it delivers a great deal of its features right away. Pros: Tons of features and solid software, web based and very convenient. The product is not hard to setup and to use. Comments: We are setting up exo as an intranet for one company, so far it is really great. Is is user friendly but has a lot of features and it is quite easy to do some modifications. to fit your needs. We were looking at some other products such, but in the end, exo platform already comes out of the box with most of the features our client demands. Great work on Documents and Calendar! Pros: Very poweful, fast, extensible platform. Cons: Can be quite tricky to do modifications if you never messed around with Java servers. Comments: eXo is a private social intranet that makes it easy to connect and collaborate with your coworkers. Going beyond simple status updates, eXo provides tools that let you capture, organize and act on your team's internal knowledge. Pros: Makes it easy to connect and collaborate with your coworkers. Going beyond simple status updates. Provides tools that let you capture, organize and act on your team's internal knowledge. Cons: Could not found any yet. Comments: Very easy to get started with. The cloud version is cheap and enables all the collaboration and social features. The Platform for Enterprise Social Collaboration! Comments: Social collaboration tools for Enterprise! This is a big deal and eXo Platform is nicely succeeding on the tools they are providing. It has a wiki, a calendar, an instant messages with video conference tool and document management system - all (and a lot more) integrated in one extensible platform. I particularly like the overall experience, with the UI, the UX and the integration between all the tools provided. It is really easy to get started with. Comments: I am a huge fan of eXo Platform. The software is the easiest to install and use, from the install/admin side, as well as fluid from the user's perspective. Many of my staff where this has been implemented have an aversion to computers, but they were able to pick up interacting with eXo easily. 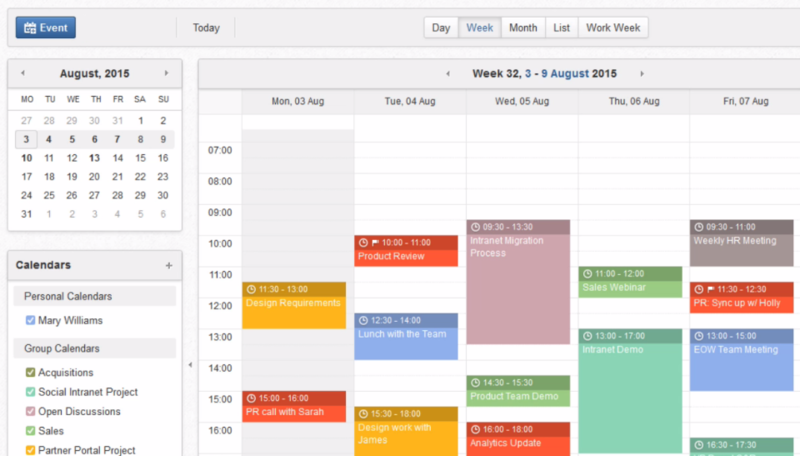 I would recommend this to anyone who manages an intranet or needs a collaboration suite. Cons: Plugins/add-ons are limited and can be confusing. Comments: eXo offers a great number of features out of the box. The user interface is well designed. It's easy to know what tasks are available under each section. Learning the system and interface is simple process. The "Tribe Pulse" section does an excellent job displaying popular content and other analytic data. This is perfect for checking up on the adoption rate of your intranet. Thank you for the detailed review! Your feedback is very much appreciated. The only one Enterprise Social Network open source! It's open sourced so we extend it to our needs. Customer service is the best. You will need J2EE experienced developers to customize the software if default features aren't sufficient. We're glad you found what you needed with eXo! Thank you for your review. Comments: eXo Platform is really a userfriendly software, you only need a few hours to be familiarized with the different tools. I warmly recommend it for your organization! Pros: It is so intuitive to enable social intranet in an organization. The layout is easy to understand even without proper training which can roll out right away. Also, the administration of user is easy which administrator can be dedicated to users to self-manage the groups. Cons: I like the least is there is lack of eye candies, but it could be easily customization with custom coding and CSS style. Comments: Many social add-on and features, you'll probably find the ones that fit your company needs. It was very easy to use and can be accessed anywhere in the world. Its price point is very competitive and customer service (at least for the free trial) was good. Cons: Doesnt seem to be 21 CFR Part 11 compliant. Comments: eXo Platform creates real business value as it enables faster communication and better decision making across our whole organisation. Comments: eXo platform provides the features that satisfy requirement of social collaboration and intranet projects. eXo chat application is very good with providing video conferencing. 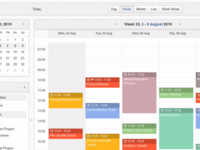 eXo Calender features is also vast for defining events,tasks,meetings with reminder.eXo blog enging is very helpful to share ideas and thoughts to social networking. eXo Platform is a very professional Social Collaboration Software. Pros: eXo Platform has a very good UI design and also a thoughtful user experience UX. I had a lot of fun to use, it greatly facilitates the management and communication within a team, I strongly recommends. Very good reliability. Cons: Nothing, eXo has a very good qualities to be your favorite SCS (Social Collaboration Software). Recommendations to other buyers: I recommend eXo for you as a good SCS (Social Collaboration Software), It's a great platform with a lot of features, I recommend it. Pros: It's very friendly to use and also easy to develop your own portlets into it. Cons: It would be great if it has some good documentation. Comments: Very well integrated social collaboration software. Easy to connect with people and contribute information. Platform is feature rich with wikis, social networking, content management and much more. Thank you for your posting of this review and for trying out eXo. looking forward to connect with you on our community site! Cons: A little difficult to understand the link between some elements of the pages and some features are not fully functioning. Comments: Exo platform is a great appliacation. With all of the collaboration features and easy to install and configure. This application is very helpful for collaboration jobs in small until big company. This application is also very helpful for educational institution. Cons: There's a docker image which is easy to deploy, but if you do decide to go for a standard install, it can be a little tricky for beginners - experience in installing Linux based apps is recommended. Comments: eXo is a combination of chat, wiki, document store and other powerful solutions. eXo helps to keep in touch with your team and collegues all over the world. Great UI Implementation. Pros: Open source. Rich collaboration features. Comments: Using eXo Platform we created a secure portal-based site and an intranet that encourages employees in an organization to exchange knowledge, documents, work collaboratively, task management, contact data... All done socially and mobile. Comments: I like how Exo helps coworkers to stay connected on work items. It is Easy to use and can try it before deployment using EXO Tribe. It is professional social collaboration platform, including Document Management, Wikis and way more. This is a very easy to use platform. You can try it around in the environment called EXO Tribe - good for a test drive. Haven't found yet so far.